Craig Corbett is the executive vice president of the Delcon Group of Companies, an Edmonton-based residential/commercial property development company. Previously, Craig was the executive vice president of North America's largest public retail liquor store company. He has worked in various senior business and legal capacities in Edmonton, Calgary, and London (U.K.) primarily focused on corporate/commercial law and real estate endeavours. Craig and his wife Naomi Schmold (a former Edmonton Opera chorus member) are active in many arts, charitable and community organizations. Richard Cook spent much of his professional career at Grant MacEwan University (formerly College), and was the dean of university advancement at the institution. First and foremost a fundraiser in that position, he was also responsible for the overall financial management of the department, policy development in fundraising, university endowment management, and advising on charitable receipting and valuations of gifts. In addition, he has been a professional clarinetist in Edmonton and Toronto, as well as being associated with a number of fine arts associations in Edmonton, Canada and internationally. Irving Kipnes founded Liquor Depot in 1993 and served as its managing director and chief executive officer throughout its first 11 years. Irving is also the president and managing director of Delcon Development Group, which he founded in 1962. He is active in many charitable endeavours and has served on the board of directors for several charitable and community organizations, including the University Hospital Foundation, co-chair of the University Hospital Foundation Campaign for Prostate Health, the Campaign Cabinet of the Alberta Heart Institute and the Campaign Cabinet of the Capital Care Foundation. Irving was inducted into the Alberta Business Hall of Fame on May 13, 2009. He was also granted an honourary doctorate of law by the University of Alberta on June 8, 2009. As a partner with Reynolds Mirth Richards & Farmer LLP, Francis Price, QC acts as an arbitrator and mediator in various fields of labour and commercial disputes. 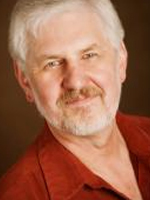 He lectures in his areas of practice across Alberta, Canada and internationally, and has been recognized for his work both professionally and in the community. In 2011, he was awarded both the Law Society’s Award for Distinguished Service to the Community and the University of Alberta’s Distinguished Alumni Award. In 2013 he received the Queen’s Diamond Jubilee Medal. He is also involved in the organization of the Legal Community’s annual fundraising play which benefits Edmonton’s theatre community. He is part of Toastmasters International, and participates in various cultural, church, charitable and sporting organizations. Currently the treasurer and director of finance for Delcon Group of Companies, Ken Keenleyside is responsible for the group's cash management and investment, and negotiating of project financing as required. With a bachelor of commerce, finance major from the University of Alberta, Ken had worked in commercial banking for 35 years, the last 24 years with HSBC Bank Canada. He was a member of the board of directors for the Goodwill Industries of Alberta, as well as a member of the finance and audit committee for six years. Ken has also volunteered for the United Way and Junior Achievement. Enzo Barichello is Managing Partner of Bennett Jones’s Edmonton office, co-head of the Government Affairs and Public Policy practice and has served on the firm’s national Board of Directors. For the last 36 years he has built a diverse practice acting for entities in the following sectors: utilities, pharmaceuticals, airports, logistics, commercial real estate, forestry, telecommunications, oil and gas, debt financing, and pension funds, both locally and overseas. For his work, he has been recognized as a Leading Energy Lawyer in Canada, and is Consistently Recommended for Corporate Commercial Law by Lexpert Canada; he has also received a BV Distinguished Peer Review Rating by LexisNexis Martindale-Hubbell. In addition to his work as Managing Partner, Enzo lectures on drafting and negotiating commercial agreements. 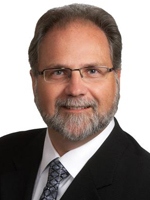 He is on the Board of Directors of the Edmonton Opera, a past Vice Chair and Director of the Edmonton Regional Airports Authority, a past board member of the Forestry Industry Suppliers Association and recently served as Governor, Vice Chair and Acting Chair of MacEwan University. Enzo is a member of the Canadian Who's Who. He is fluent in English, French, and Italian. Garner is an enthusiastic young entrepreneur with an extremely diverse background that includes living in Japan and teaching there, as well as a degree in Japanese History from UBC. He is also an enthusiastic fan of our shows, and has been attending for the past five or six years. Robert Bessette and his wife Michelle have deep roots in Edmonton, and are active with a number of local organizations, charities and initiatives. From 2005 to 2010, Robert was part of the fundraising committee for the Support Network, and became a board member of the University Hospital Foundation in 2010. Since 1997, he has been an investment advisor with RBC Dominion Securities, when he graduated from the University of Alberta with a bachelor of commerce, and became a vice-president of the firm in 2009. In 2004, he founded Bessette Wealth Management of RBC Dominion Securities. He and Michelle have four children. Mary Clonfero is a chartered accountant with experience in industry, public accounting and teaching. She has worked at Stantec Inc. for the past 11 years and is currently the director of external reporting. Prior to her current role she was the regional controller of Western Canada West. Mary graduated from the University of Alberta with a bachelor of commerce degree and received her chartered accountancy shortly thereafter. In her spare time, Mary has assisted with various volunteer positions with the Alberta Institutions of Chartered Accountants and Junior Achievement, and has had held positions on the board of directors of L’Arche. She enjoys running, singing, ballroom dancing and golf. St. Albert resident Hans Forbrich is an internationally recognized computer consultant and trainer, having experience in corporate environments and having been successfully independent for almost 15 years. He is an Electrical Engineer by training, entrepreneur by choice, classical Basso Profundo by temperament, and passionate volunteer. He has volunteered in many organizations and positions, from Leader and Assistant District Commissioner at Scouts Canada to Board Member for Opera NUOVA. Hans has been an enthusiastic sponsor of Edmonton Opera throughout the years, as well as an active Edmonton Opera Chorus member since 2003, and an Opera NUOVA alumnus. Melanie was born and raised in Edmonton, and has been involved with many local organizations. Currently, she is the chair of Fashion with Compassion, supporting Sorrentino’s Compassion House, along with sitting on the Honens Piano Laureate Circle committee. She is involved with The Works International Visual Arts Society (VP of Community Programs), Chrysalis: An Alberta Society for Citizens with Disabilities, and the Royal Alexandra Hospital Foundation (Lois Hole Hospital for Women’s Harvest Gala Committee). Some of her past activities include being a past president of the Junior League of Edmonton, a community member of the City of Edmonton’s Next Gen committee, and a member of the Light It Up Campaign for the Art Gallery of Alberta. Bernie Robitaille, owner of the Press Gallery, has lived in Edmonton since 1976 and entered the dry cleaning businesss in 1987. He is a director of the Alberta Textile Care Association and is often asked to give presentations on behalf of the industry. He was awarded Drycleaner of the Year (2011) and recognized with the Shining Star Award (2012) for his work with the Certified Restoration Drycleaning Network of Detroit. The Press Gallery has been a sponsor of Edmonton Opera for 14 seasons and has been a member of the Edmonton Chamber of Commerce for 20 years, in addition to supporting the arts, numerous charities and the military community. Daniel Rojek is the Vice President of Landrex Ventures - a real estate development firm focusing on land, commercial, residential, and institutional development. Daniel comes with a diverse background that includes engineering, real estate, consulting, and start-ups. He holds a Bachelor of Commerce degree from the University of Alberta, a Master of Business Administration from Queen's University, and is a Certified Professional Accountant. In his spare time Daniel enjoys sports, reading, travelling, and cosmology. internationally and with many Edmonton arts organizations and has been a featured vocalist with Symphony orchestras and jazz ensembles across the country. Sheri is past president of the Varscona Theatre, is the current Vice Chair of the Edmonton Live Music Initiative (ELM) and is proud to serve on the Board of Governors at the University of Alberta and the University of Alberta Senate. Sheri has won several awards including the Mayor's Salute to Excellence Award for her contributions to the arts in Edmonton.